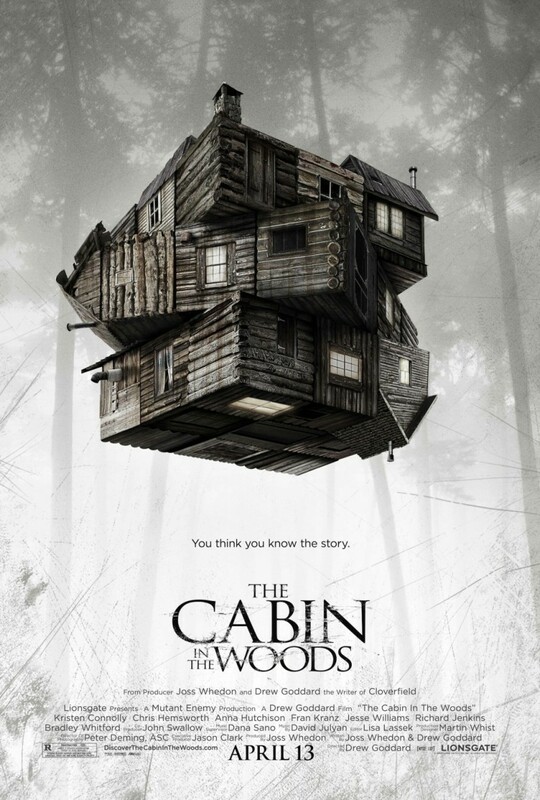 The Cabin in the Woods DVD and Blu-ray release date was set for September 18, 2012. Five college students decide to spend the weekend at a cabin in the woods. The cabin is isolated without phone service, cell towers or television. They arrive at the cabin without incident, spend some time relaxing and have a few drinks together. A cellar door opens to reveal a stairway leading to some fascinating trinkets and curiosities. Each of the teenagers picks up a trinket to examine, but one of them reads from an old diary. This raises a family of zombies that begin to stalk and try to kill the teenagers. As the teens are running from the zombie killer family, they find out that they are being observed and things are not as they appear to be in the cabin.